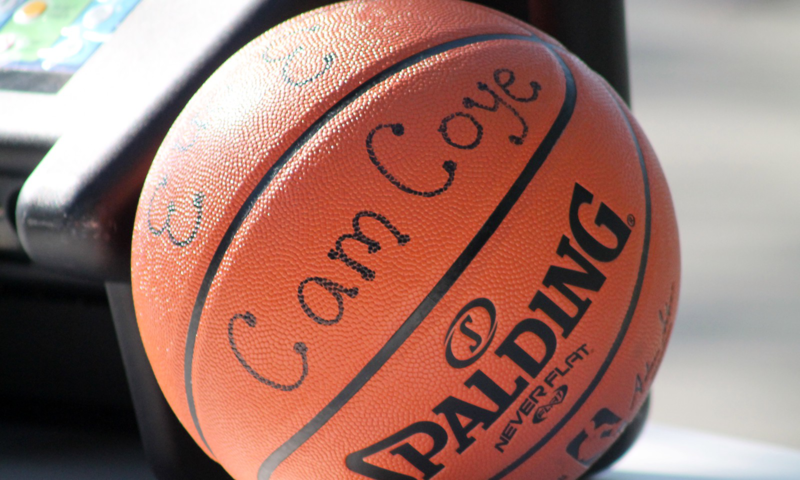 We are excited to announce the 4th annual Cam Coye Memorial 3 on 3 Basketball Tournament fundraiser has been scheduled for Saturday, August 10, 2019, from 8:00 a.m. to 8:00 p.m. at the Georgetown Middle High School in Georgetown, MA. The inaugural 3 on 3 Tournament in 2016 was supported by more than 140 players from 14 towns and over 100 volunteers. In 2018 we grew to representing 26 communities with over 240 players, youth and adults. Registration NOW OPEN! Register HERE! Over the course of four years the Tournament has become a shining example of communities coming together to support a greater good. We would like thank our sponsors, our volunteers, the players, and all those that came to cheer and support the event. Thank you again for all your support. Thank you to our generous sponsors and donors; A Yoga Practice, Agawam Diner, Best Bagel, Boxford Town Hall Employees, Cheerletics, Classic Cuts, Costco, Dominos, Flatbreads, Georgetown Building Supply, Gilmore & Gilmore Attorneys, Hillside Consulting Group, Honey Dew, Jeff and Maria’s Ice Cream Shop, John Feeks, LaBa Nails, Massage Experts, Mortgage Equity Partners, Napa Auto Parts, Nunan’s, Off the Vine, Pomodori, The Pool Guy, Pub 97, Salem Five Bank & Charitable Foundation, Sean Riley, TD Bank, Tea Garden,Triad Driving School, Ultimate Perk, The Spot, Winfreys Fudge, Georgetown Class of 2018 and many more. Donations can be mailed to 1 Railroad Avenue Georgetown, MA 01833 (made payable to GAA). Take a moment to sign up your son, daughter, friend, neighbor, yourself to play! Calling all volunteers! Sign up to volunteer on the day of the event. Come help sell merchandise, food, run the clock / book- any help is truly appreciated More information soon! Pictures of the the Cam Coye Memorial 3on3 Tournament can be viewed on our Facebook page or here at 2017 Photos of Tournament & 2018 Photos or view on this web page at Photos.